Thank you a lot jQuery team! i can’t download Theme in ie6 with chinese langeuage. but i can download in firefox. Bug? Checking Datepicker on the download page doesn’t autoselect UI Core. I’ve just downloaded ui-1.7. When I’m trying out the tabs widget in IE6 on the page ‘development-bundle/demos/index.html’ I get the error ‘Exception thrown and not caught’ at line 374. I suspect this comes from: “throw ‘jQuery UI Tabs: Mismatching fragment identifier.’;” in the file tabs.js. I haven’t had much time to investigate in the real cause, but I’ve tried the same in Firefox 3.0.7 and Chrome and there it works fine. Felicidades, estaba ansioso de ver esta nueva versión disponible… Buen Trabajo!! 1.7.0 still has new bugs on the drag and drop interface. Firstly “Placeholder” fails on height. Secondly when dragging alpha transparency was always lost (goes black) in IE however in 1.7.0 when you drop a box the alpha transparency does not return and stays black! Could you, please, fix the function on black “Download” button click, which sends back a file? It gave me broken zip, while “Quick download” link returned the correct file. The CSS created in the downloader has some issues. It repeats multiple times resulting in a 1.9MB CSS file. Nice work though. JQuery UI makes my life much easier. Mission Accomplished , great job guys , I really appreciate it . still the zip file for UI won’t work in IE (6.0.2). I liked the new features though. @Kevin Ryan @loyos @spicyj @Peder @Johan De Silva Please be sure to raise any issues you find on the jquery-ui-dev list http://groups.google.com/group/jquery-ui-dev and file a bug ticket at http://dev.jqueryui.com/newticket (note: requires registration). Thanks. I suggest that everyone put cookie function ui wrote the script, the course, for jquery-ui, all should be written into the cookie function, so that at the page called when the cookie function, just add cookie: (expires: 7, path: ‘/’, domain: ‘jquery.com’, secure: true) can. No way, foreigners can not read Chinese but translated into English. I have been want to use jQuery to http://www.netvibes.com should not develop a site like this? Now I find the answers. 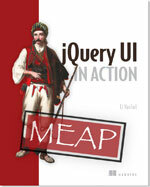 That is: jQuery can be used to develop a site like http://www.netvibes.com, but easier. 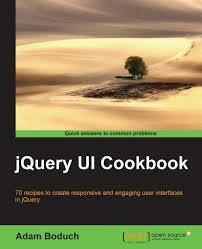 Warm congratulations to jQuery UI 1.7 Lightning strike! Can’t download from your website, the zip file that comes down is invalid. Replicated on a few machines. jQuery 1.3 works like a charm…very fast and reliable and the UI rocks!! Looking forward for the next release where many more widgets like the menu will be included. It is an awesome release and the new themeroller works better than ever. I would like to know where I can give feedback. With the new themeroller, one file gets repeated in itself. It gets wel over 10,000 lines. This file is called ui.base.css and should be only six or so lines, but these get repeated many, many times. I suspect this is the wrong place to tell, but I will forget to mention it if I keep looking for a good place for feedback. @Bart McLeod Thanks for the note. Very glad you like it. As for the issue you raised here, this is a known issue http://dev.jqueryui.com/ticket/4296 . We’re currently testing a fix and if it goes we’ll we’ll have it live later this week. Thanks. FIrst of all thanks for your efforts. I tried to customize download as I wanted only the tab widget along with UI Core, but the zip file I got was corrupted. I tried it twice and it didn’t work for me. Is there any otherway to get the UI Core?